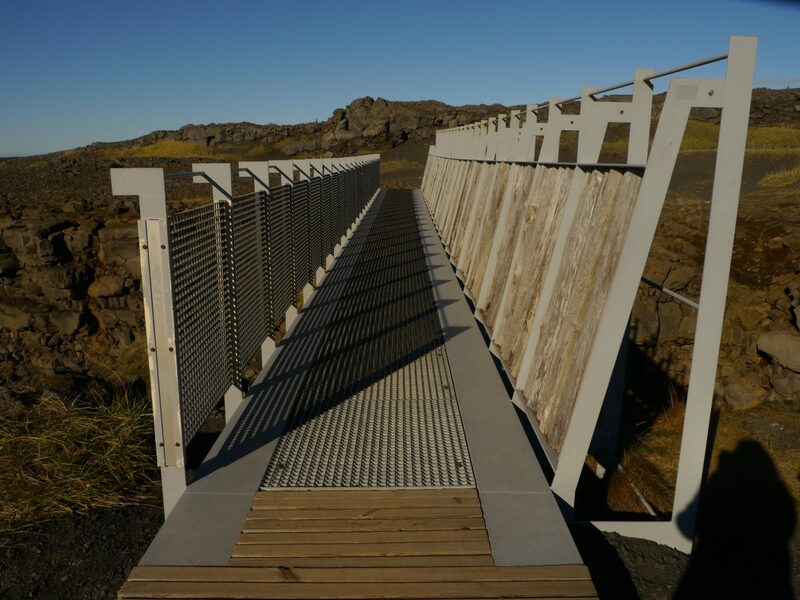 On Iceland’s Reykjanes peninsula, near the main airport and the Blue Lagoon, lies a footbridge over a small canyon. At first glance, it is unclear why it is there. The short bridge is just a few metres above the sandy canyon floor; you could easily walk down into the rift and up onto the other end, assuming you’d even want to go there. Both sides of the canyon look exactly the same: a barren lava field littered with rocks, sprigs of vegetation, and volcanic black sand. 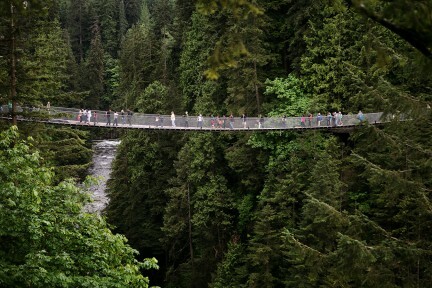 But strolling a few seconds across this bridge means, technically, that you have walked from Europe to North America. This is a bridge over a rift between continents. 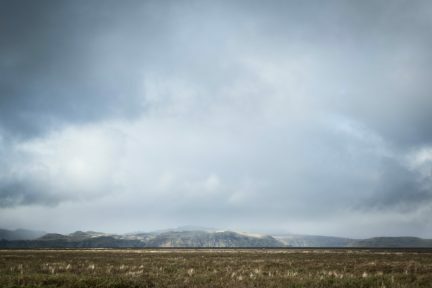 The North American and Eurasian plates pull apart at a rate of two centimetres each year—enough that the bridge had to be specially constructed to allow for continuous expansion. Fissures and faults (evidence of the plates’ movements) can be seen all over the peninsula. Steam seeps up from cracks in the ground, small hot springs and boiling mud pools sprinkle the landscape, and the mid-Atlantic ridge itself rises from the sea. This is geological history, literally in the making.